Samsung Galaxy S3 is here, and it looks beautiful. Featuring beautiful hardware and cool interiors, the device is all set to become next flagship Android device. There has been much hype around SGS3 and it seems that the device has lived up to all the hype. With Galaxy S3, Samsung is launching a new Exynos 4 Quad processor that will likely be powering the forthcoming Samsung smartphones. On SGS3, the processor clocks at 1.4 GHz. There is 1GB of RAM while the storage capacity varies from 16GB to 32GB and 64GB. There is also microSD card slot for expandable storage up to 64GB. In addition to that, you also get 50GB Dropbox storage space when you purchase the device. 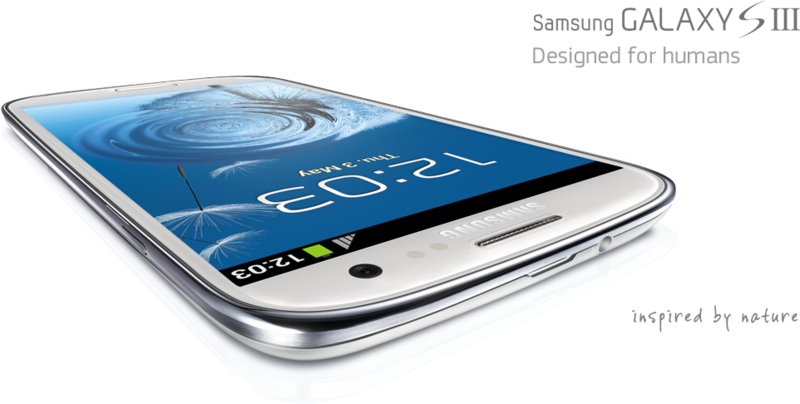 Samsung Galaxy S III display is 4.8 inch Corning Gorilla Glass 2, Super AMOLED capacitive touchscreen and 720×1280 pixels screen resolution. There is 8 Megapixels rear camera capable of taking pictures at 3264×2448 pixels, and a 1.9 Megapixels front facing camera for video calling and recording at 720p@30fps. Android 4.0 Ice Cream Sandwich. TouchWiz UI v4.0.